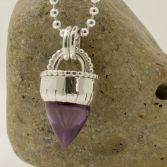 Large Unusual Amethyst cone shaped Gemstone cabochon which is a beautiful colour purple colour. 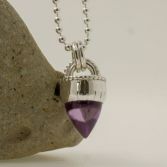 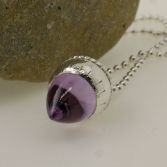 The Pendant has been handcrafted in sterling silver and is a one of a kind (only one made) The pendant element including the bail and Amethyst measurs 29mm in length and is 13mm across the top at the widest point. 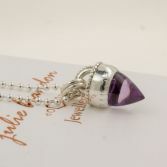 The pendant is hung a 2.2mm solid silver ball chain which is 18 inches long. 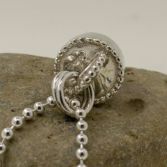 The pendant/necklace has full UK hallmarks stamped at the Edinburh Assay Office. 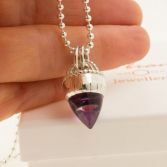 Your Amethyst Cone Necklace and chain will be presented in one of my signature gift boxes and posted via Royal Mail1st class registered delivery free of charge to UK addresses.